The Past Simple tense is sometimes called the "preterite tense". We can use several tenses and forms to talk about the past, but the Past Simple tense is the one we use most often. In this lesson we look at the structure and use of the Past Simple tense, followed by a quiz to check your understanding. + I went to school. - She did not go with me. We did not work yesterday.
? Did you go to London? Did they work at home? There is no auxiliary verb. 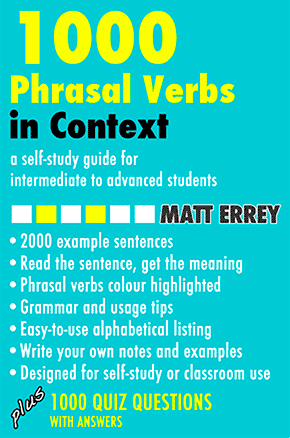 For negative sentences, we insert not between the auxiliary verb and main verb. "Why didn't you go to the party?" / "I did go." It did seem a bit strange. After drinking it I did in fact feel better. + I, he/she/it was here. You, we, they were in London. - I, he/she/it was not there. You, we, they were not happy.
? Was I, he/she/it right? There is no auxiliary verb, even for questions and negatives. For negative sentences, we insert not after the main verb. For question sentences, we exchange the subject and the main verb. 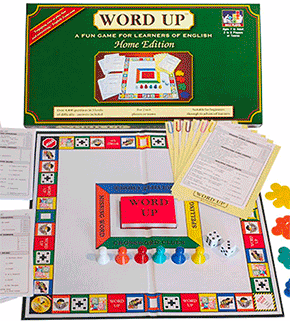 We use the Past Simple tense to talk about an action or a situation - an event - in the past. The event can be short or long. The car exploded at 9.30am yesterday. We did not hear the telephone. The Jurassic period lasted about 62 million years. We did not sing at the concert. In general, if we say the past time or place of the event, we must use the Past Simple tense; we cannot use the present perfect. I lived in that house when I was young. He didn't like the movie. John drove to London on Monday. Mary did not go to work yesterday. Did you play tennis last week? We were not late (for the train). "The wind was howling around the hotel and the rain was pouring down. It was cold. The door opened and James Bond entered. He took off his coat, which was very wet, and ordered a drink at the bar. He sat down in the corner of the lounge and quietly drank his..."
This page shows the use of the Past Simple tense to talk about past events. 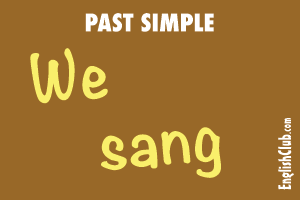 But note that there are some other uses for the Past Simple, for example in conditional or if sentences.